Making new friends is hard. 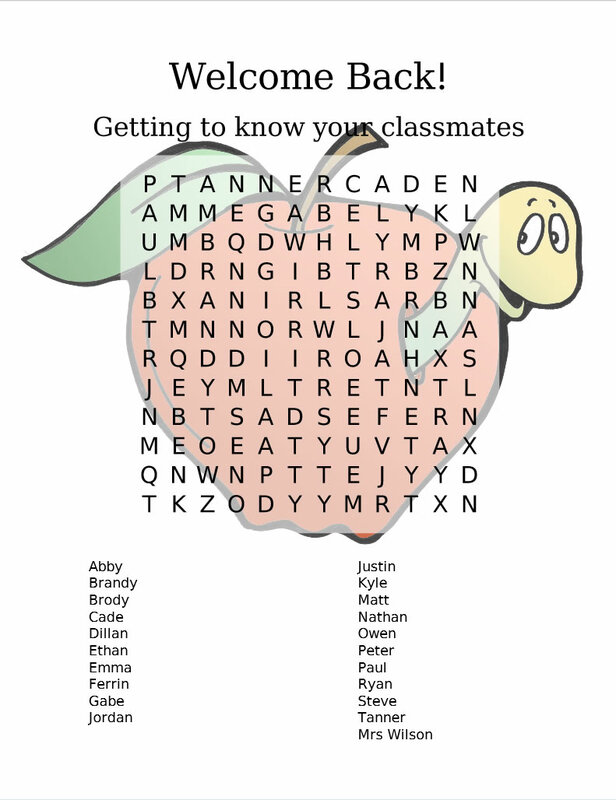 Start off school right with a fun puzzle that eases them into the school year and helps them get to know each other. You can also add info about each student such as a "favorite". Make yours here.